King’s campsite is a tremendously welcoming place to camp with gorgeous waterfront access. King’s luxury camping facility is located just 200m away from the beautiful La Fosca beach. There are just so many fun-filled adventures to be had at King’s, so make sure to book your next luxury holiday through LuxCamp today! 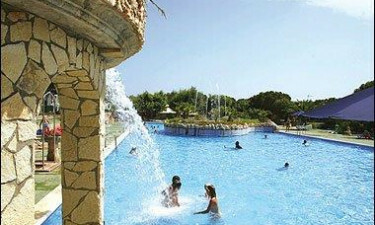 At King’s luxury camping site, you can find countless activities for all ages. King’s campsite is located in the north-eastern part of Spain in Catalonia. 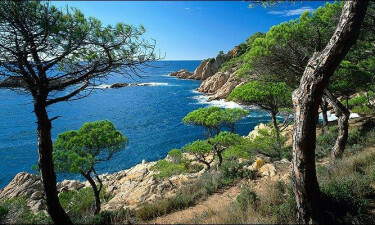 This coastal region is known as Costa Brava. It’s a Mediterranean paradise filled with lush trails and glorious hiking terrain. King’s has a marvellous pool with a large fountain and area for the kids as well. Relax under the shady trees by the pool or take a break from it all and soak in the sun. Whatever the case, this beautiful pool will complete your camping holiday for sure! 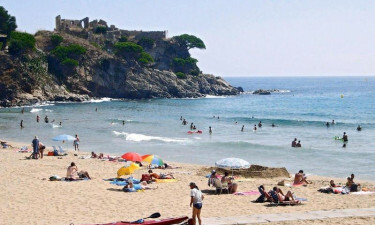 There are two beaches nearby, La Fosca and Castell. This makes King’s a relaxing, accessible place to stay and unwind while tanning in the hot, encapsulating sand or frolicking around in the therapeutic Mediterranean sea.